If you’re lucky enough to visit the South of France in summer, don’t miss a chance to see the nearby lavender growing regions. 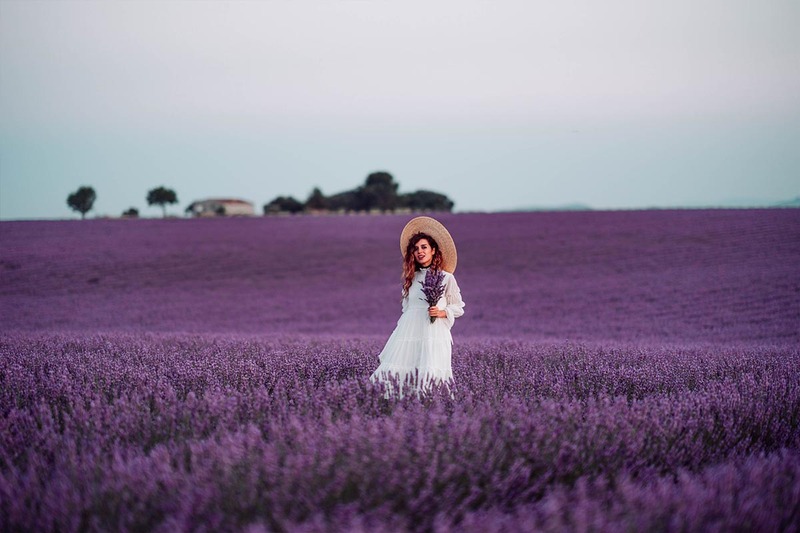 For me two words “Provence” and “lavender” have become inseparable, so I hardly imagine one without the other: the lavender farms burst into vivid purple colour spreading heavenly delicate fragrances that, for sure, have become another emblematic symbol of France after the Eiffel Tower. The region is so picturesque itself that there are no photographers, artists and, of course, bloggers that can resist to its beauty without visiting the region from all over the globe from mid-June till the end of July. Personally, I spent a year in Provence studying for my Master’s Degree in Aix-en-Provence. In my spare time, I was visiting colourful villages, famous French Alps and the seaside of Côte d’Azur. I can ensure you that Provence has a lot to offer from mountain hiking rewarding with stunning views to underwater exploring of the waters of Mediterranean sea. At that time, I was travelling by public transport to get from one place to another always adjusting to an inconvenience of its fixed schedule (generally, there is one or two of buses/trains per hour and the service terminates quite early around 5-6 p.m.). 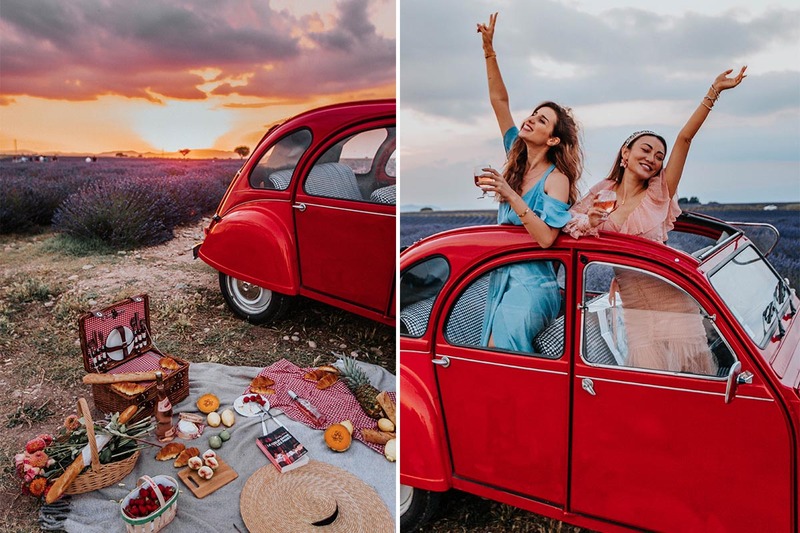 This summer 2018 I was lucky to find 4 free days for our small holidays in Provence. We were carefully following the blossoms to get to the fields when they are in full bloom, and we took a comfy car from Hertz to better organize our stay. In fact, although the region has become a famous tourist attraction, the nearby cities have a very limited choice of nice hotels with amenities (as you can imagine, the temperatures may rise to 30-35 degrees C during the day which makes uncomfortable a stay in a place with no AC). The best solution is to rent a villa (you can get a very nice choice with pools and verandas) in the neighbourhoods of Manosque or Valensole or stay at local Airbnb (which we did). 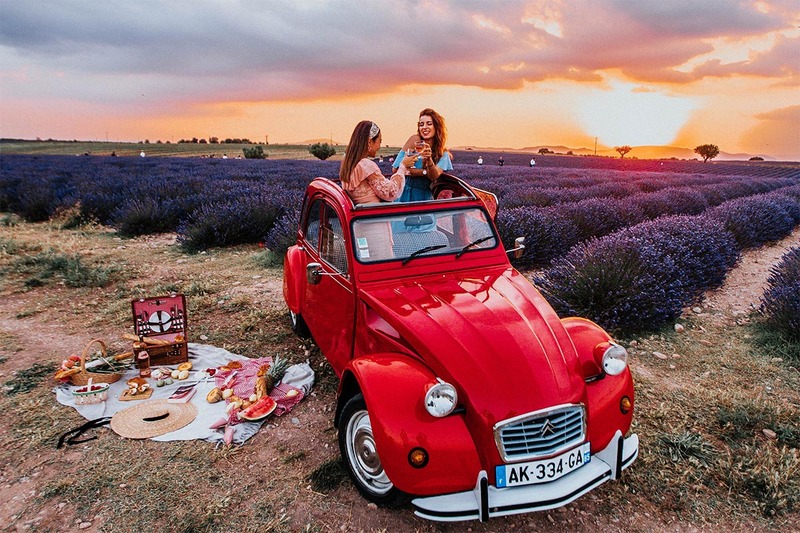 There is no public transportation to lavender fields, except for organized tours, so, having a car is a necessity that can’t be neglected. The main lavender fields of Provence are scattered from the north, of the Luberon and Verdon plateau regions to the north of Aix-en-Provence and Marseille, with the blossom season in the lowlands being generally from the end of June to mid-July, which is slightly varying depending on the weather conditions throughout a year. The higher up you go on the plateau, the colder it gets, so the area around the town of Sault is flowering from early July to mid-August roughly speaking. 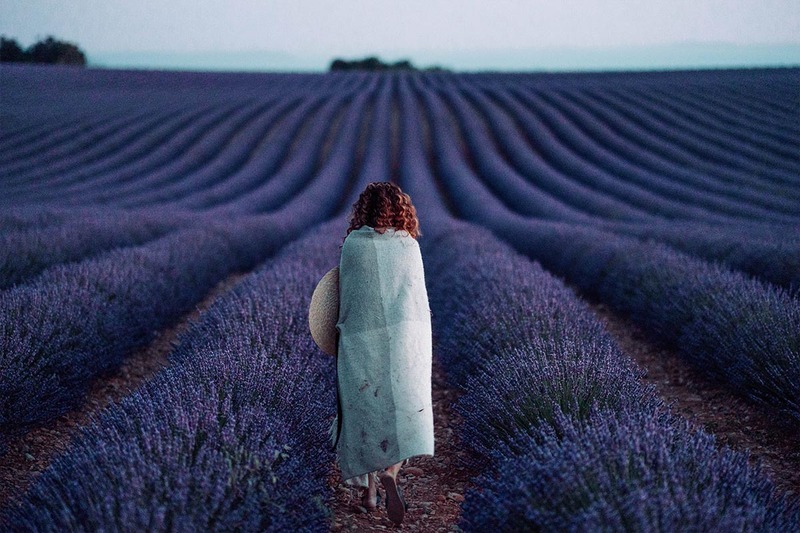 For those who want to get a small introduction and discover some facts about lavender and its production, you can go to the main lavender region – the department of Alpes Haute Provence. There are lavender farms, and even a museum dedicated to this gorgeous plant. And, of course, don’t forget to buy souvenirs made of lavender and taste a real lavender honey and ice cream! Some of the famous places where you can find picturesque fields are Sault, Plateau de Valensole, areas around Gordes, and Senanque Abbey. I would also advise you to come to the fields at least once at a sunrise. The colour of flowers changes under a different light. The calm rising sun paints the fields in different shades of blue. 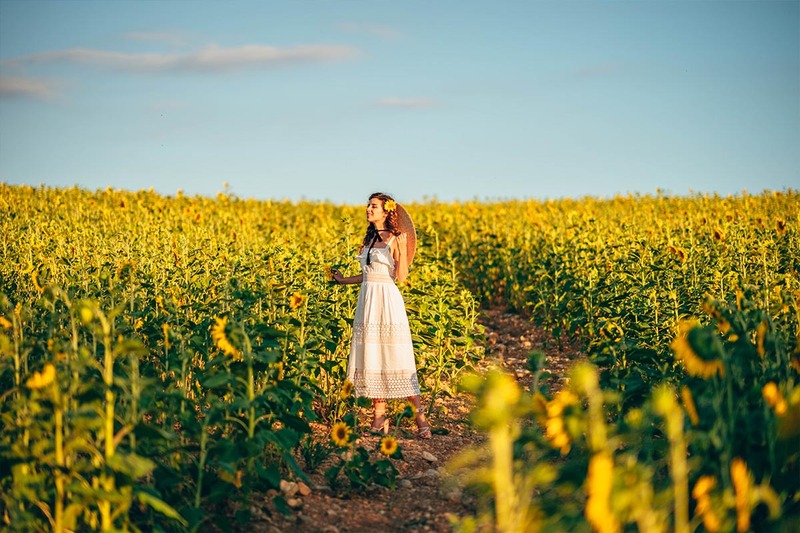 In addition to that, you experience completely new feelings when diving into the flowery fields absolutely alone skipping the crowds you can meet during the day and at the sunset time. 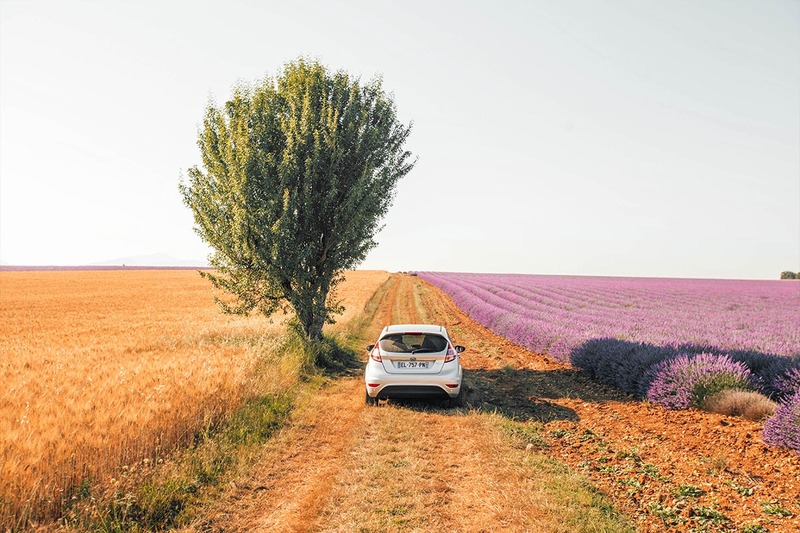 I am so happy to make a choice of renting a car with Hertz as it enabled us to open Provence in all its diversity. Lavender is often neighbored with other flowers and plants like wheat and sunflowers which makes the views even more breathtaking. We found some amazing little corners just around our Airbnb. 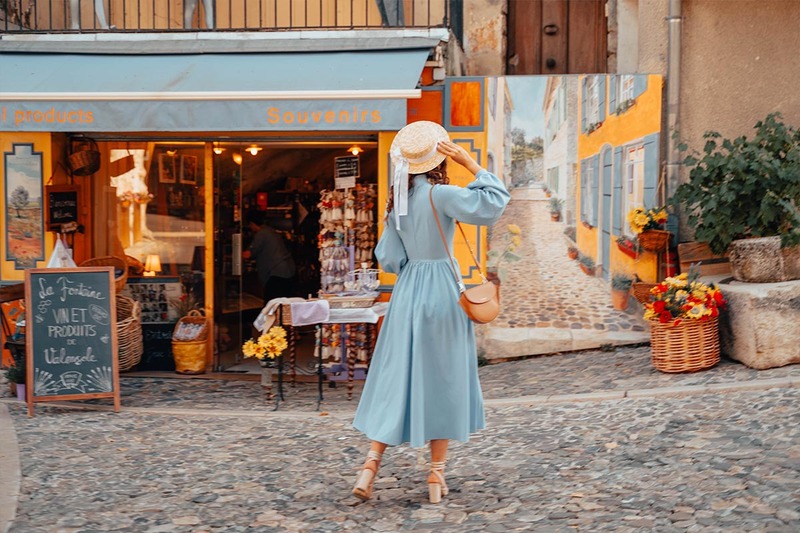 I am sure you are going to fall in ultimate love with Provence once you are there. So, Bonne Route! Hello! Sorry, I don’t think that lavender will be still in bloom in a week ( Sunflowers usually grow nearby, so you will definitely see the field from the car if you travel around 🙂 Good luck! Hi Katie! Do you have recommendations for Airbnb? Or where you stayed on your trip? Im looking to stay with Airbnb’s that has lavender fields too. Thanks! Hi, dear! I don’t have any specific airbnb’s to recommend but I would definitely advise you to stay somewhere near Manosque or Gordes area as it’s the best to access the fields! Intresting, I book marked the post. thank you! I've got big news for you!